Often awarded, and described as the most beautiful portal, that a city could wish for. Welcome to Rotterdam central station. Let’s start with a big, heartfelt compliment. Benthem Crouwel Architects did a perfect job. 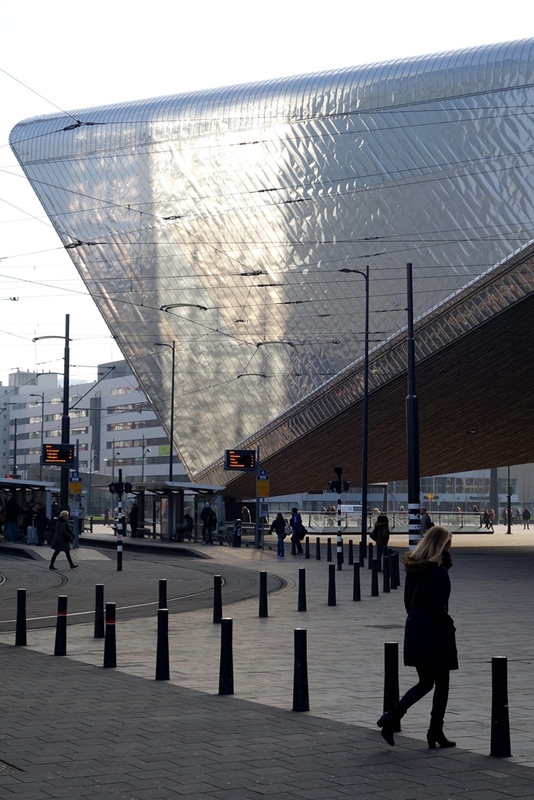 They designed a very photogenic public transport terminal: Rotterdam Centraal. 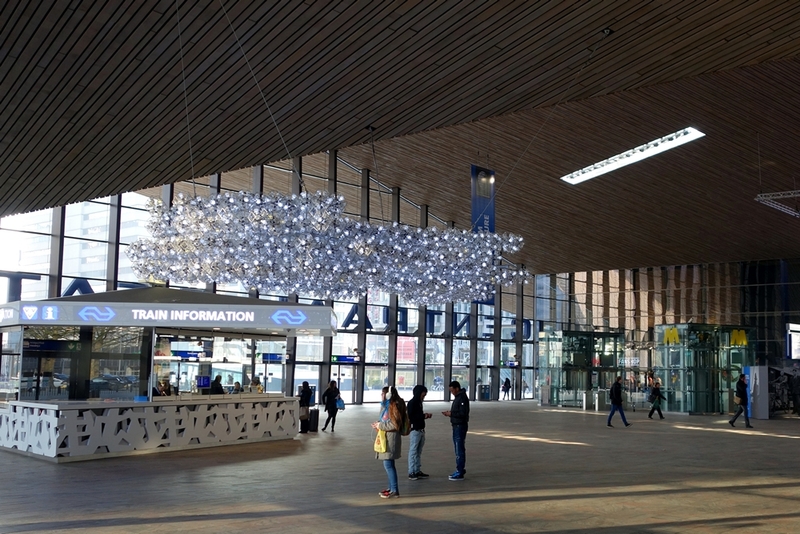 While the station hall is mainly made of glass and wood, the roof is a stainless steel landmark, that points to the heart of the city. Despite the huge space, the main hall feels cozy and comfortable. Passengers can entertain themselves easily, while waiting to catch a train. 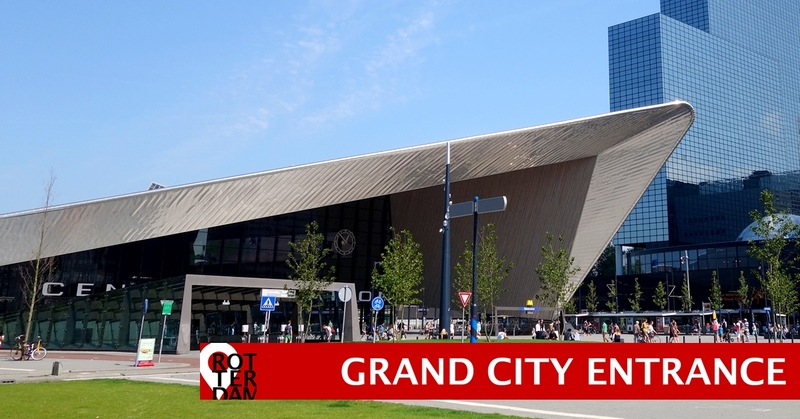 Rotterdam Centraal is a hub for regional and international significance. 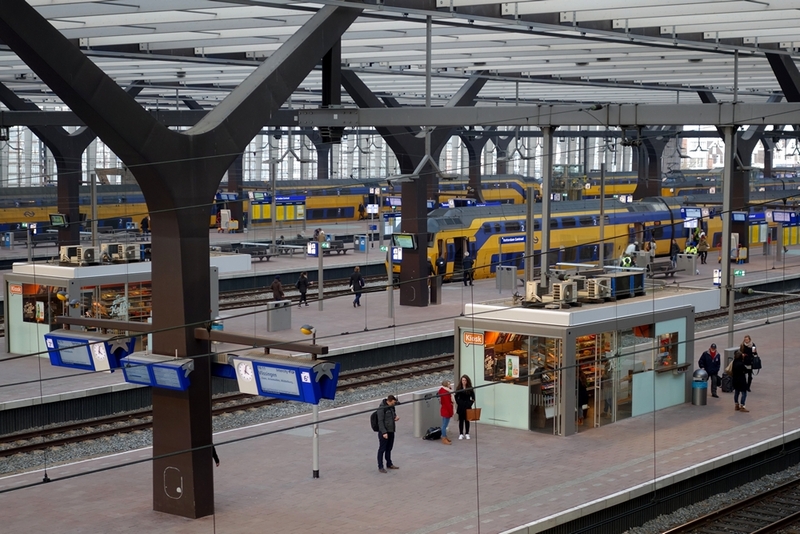 It provides connections to Holland’s major cities, as well as a number of cities in Europe. But also a large bicycle shed and a parking garage are located under the square in front of the station. Bus, tram, and taxi areas are integrated into the immediate vicinity. The station area processes 110,000 passengers per day. (The same amount as Schiphol Airport!). Within ten years the number of travelers is expected to increase to 320,000 per day. Travelers can choose from several entrances and exits. The north side opens onto Proveniersplein, a low-rise residential. 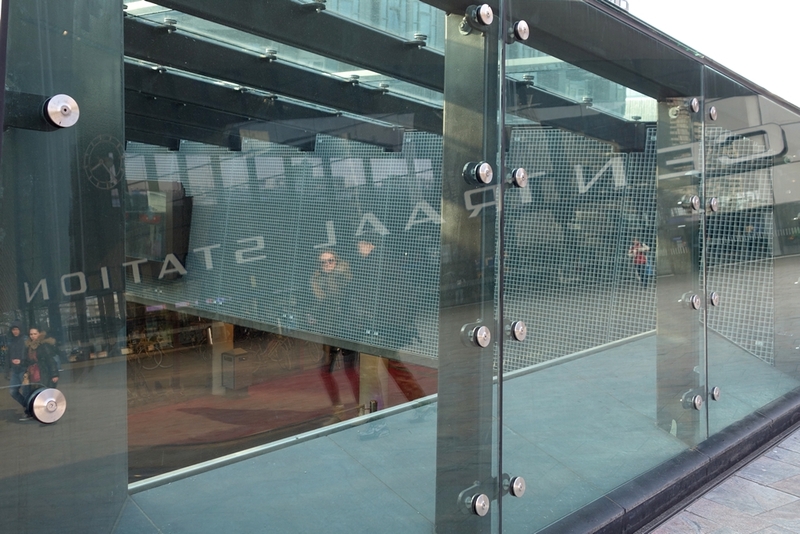 In contrast, the south entrances lead you to the center of the city, recognized by its ultra-modern architecture. Clearly designed as a metropolitan gateway to the high-rise urban center. Various types of public transport will take you to the city centre. But walking is at least as nice. A wide promenade leads you downtown in just a few minutes. The station took six years to build. Between 2007 and 2013 passengers witnessed a major construction site. After 50 years of service, the former station was not sufficient any longer. Following the city’s ambitions for urban development and renewal, the new station had to be larger and brighter. More comfort, capacity, and international allure. Check our central station by night photos. 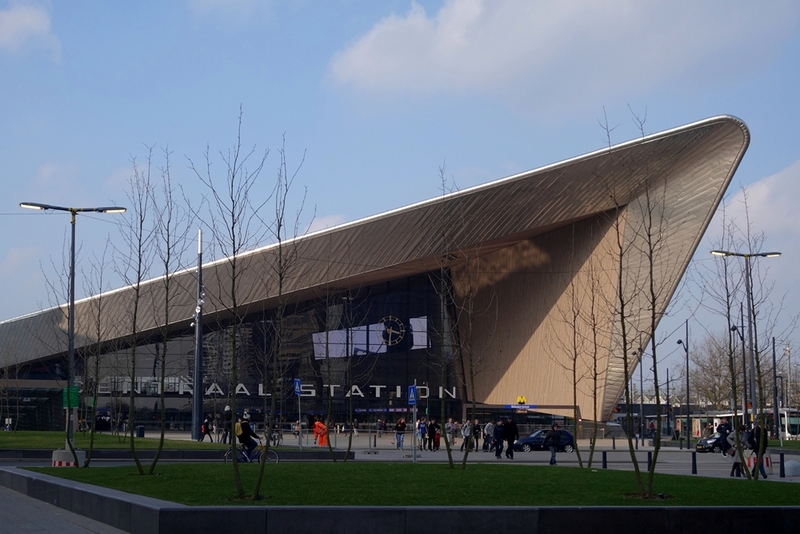 March 13, 2014, the new Rotterdam Centraal finally opened its doors. Patience was required, but it was definitely worth the wait. Are you a real metropolitan? Take the test.